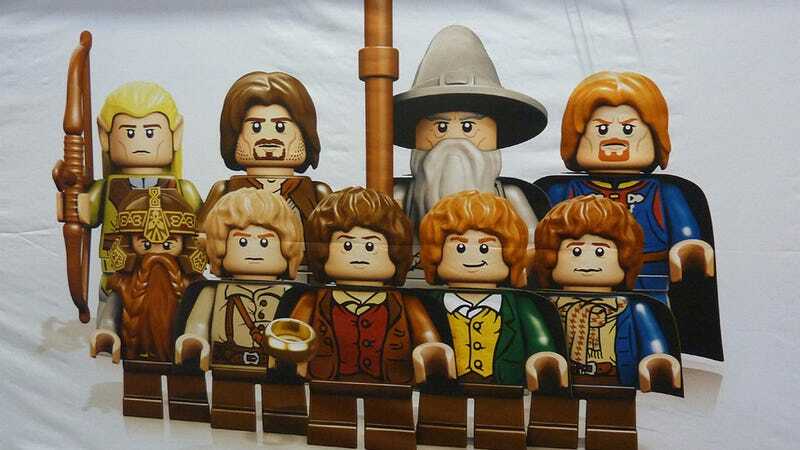 When LEGO's Lord of the Rings sets were first announced, we only got a look at what Frodo and Aragorn would look like as the company's iconic minifigs. Now we've got a much better look! The UK Toy Fair has kicked off this week and it's there this photo of the entire Fellowship was snapped. Those Hobbit hair pieces are to die for.